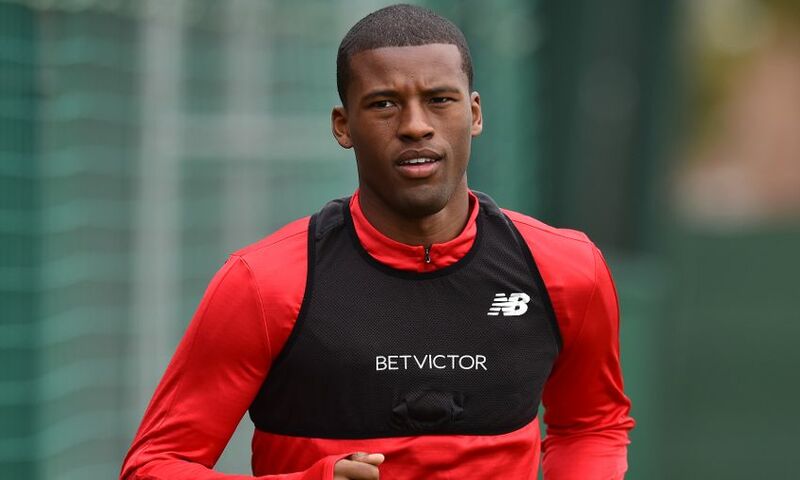 Georginio Wijnaldum is aiming to use the intensity of Liverpool’s training camp in Evian to his benefit and make up for the sessions missed during the tour of the United States. The midfielder was forced to sit out the Reds’ fixtures with Borussia Dortmund and Manchester United due to a minor muscle issue and a virus, respectively. Wijnaldum is now back in full training, however, and by his own admission is “feeling great” as he aims the reap the rewards of multiple daily sessions in the French heat. Speaking to Liverpoolfc.com following the conclusion of the Reds’ first workout on the banks of Lake Geneva, the No.5 said: “You get a lot out of [the training camps]. Of course, it is hard like it always is in pre-season, and I think the sun and heat makes it harder, but it helps you get more prepared for the new season. “It was really frustrating for me [in America] because every time I thought I was coming back, a little something else came up. In pre-season you want to put a base down for the season, so it was tough for me with some small problems, but I hope I can stay fit now. New signing Alisson Becker reported for duty for the first time as a Liverpool player on Tuesday morning, while his compatriot Roberto Firmino was back with his teammates following World Cup duty with Brazil. The Reds have also added Naby Keita, Fabinho and Xherdan Shaqiri to the ranks this summer - and Wijnaldum feels the enhanced competition will only prove beneficial to the Reds’ attempts to achieve their ambitions in 2018-19. “It’s always good to see players coming back – and to welcome new players,” said the Netherlands international. “Especially good players. We all know Bobby is a good player and Alisson is a good goalkeeper, so we are happy they are here. “Not only is there competition in the Premier League, but also in the team – and it makes the team better, with the players we’ve signed.